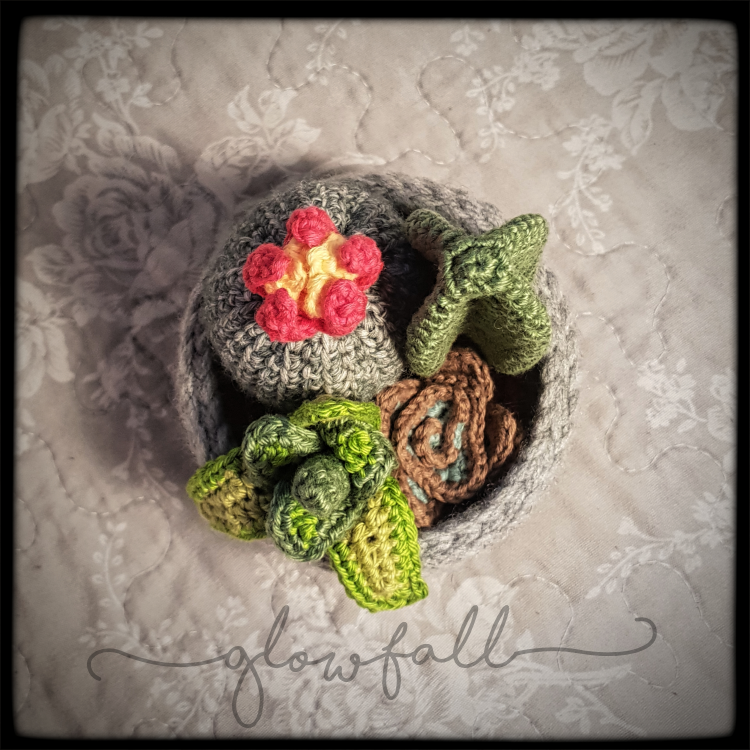 The X-shaped cactus, tiny succulent and the flower on the smaller cactus are from the Cactus & Succulents by Tante Koek. 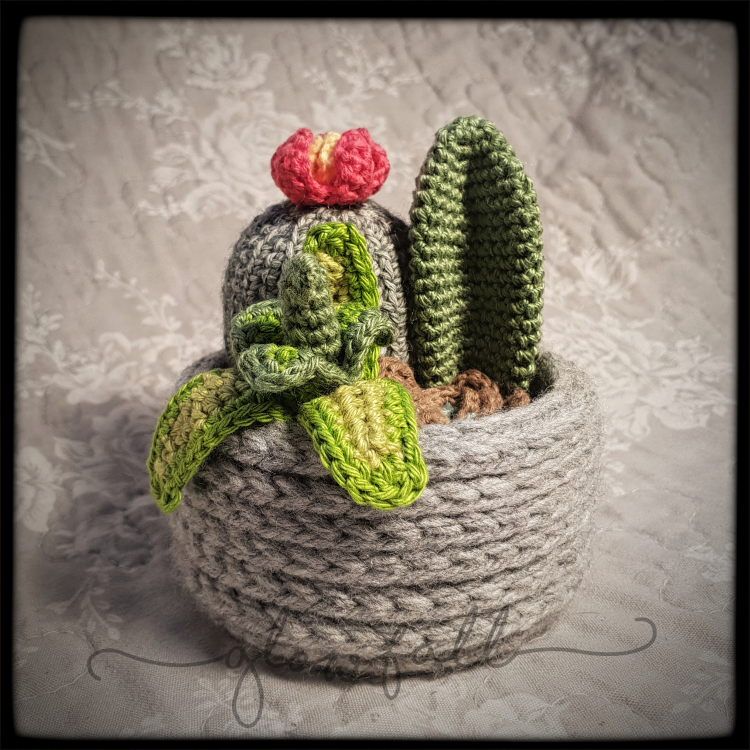 The smaller cactus is based on Tiny Barrel Cactus by Emily Winck. The last plant is freestyled. 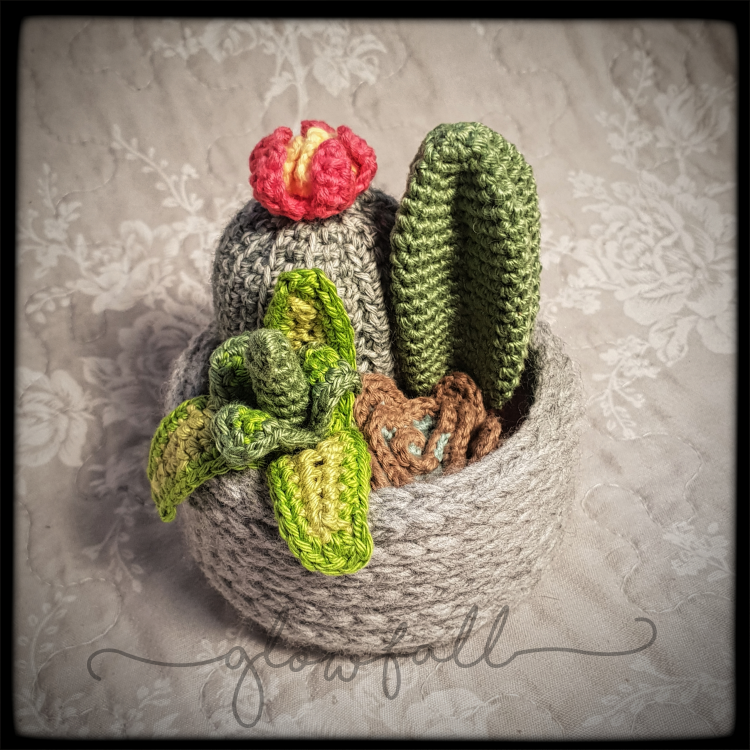 The pot is made of a sawed off Pringles tube, with a freestyled cover (basically hdc in rounds, working only in the back stitch). The soil (which doesn’t really show in the photos) is a simple circle of sc.